William Penn Adair Rogers was born on his family’s ranch in Oologah, Oklahoma on November 4, 1879. He was the youngest of eight children. Both of his parents were of Cherokee descent. As a youth, Will worked cattle on the family ranch. He learned to ride and lasso from a young age and grew highly skilled at roping. He even earned a place in the Guinness Book of World Records for throwing three lassos at once. One went around a horse's neck, another circled around a rider, and the third flew under the horse, looping all four legs together. That must have been a sight to see. Though Will attended several schools, he dropped out in tenth grade to become a cowboy. He traveled to South Africa with Texas Jack's Wild West Show, where he played "The Cherokee Kid" and did roping tricks. Then he traveled to Australia and New Zealand with the Wirth Brothers Circus. 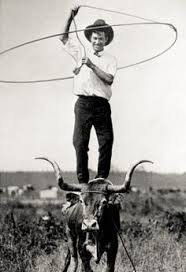 He returned to the United States in 1904, where he did trick roping at the World's Fairs in St. Louis and New York City. He continued his career in entertainment, touring vaudeville circuits in America, Canada and Europe from 1905-1915. 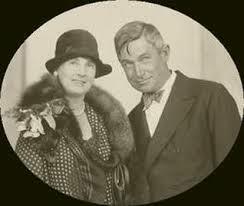 Will married Betty Blake on November 1908. They had four children: Will Jr., Mary, Jim and Fred. Betty was a loving and supportive wife to Will until his death. During his years in the vaudeville circuits, as well as his time with Ziegfeld Follies, Will's act evolved from the exhibition of his lasso skills to the development of his own unique style of humorous monologues. Will had always regretted quitting school, and enjoyed talking to people and reading. These two interests became the basis for his humor, which focused on intelligent and amusing observations about people, life, the country and the government in simple language that his audience could understand. Before long, audiences hankered for Will's humor more than his roping feats. In 1918, Will began acting in silent films, including Laughing Bill Hyde (1918) and The Ropin' Fool (1921). 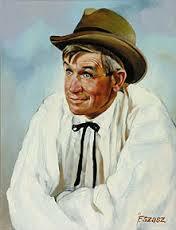 When "talkies" came in, Will Rogers became a national star. His “talkie” film credits include such titles as They Had to See Paris (1929) and State Fair (1934). His humble way of talking and country roots appealed to audiences. Throughout his career, Will starred in 71 films and several Broadway productions. In 1934, he was voted the most popular male actor in Hollywood. Will's career soon moved beyond the realm of show business. He wrote 4,000 syndicated columns and six books, and became a prominent radio broadcaster and political commentator. He called politics "the best show in the world" and described Congress as the "national joke factory." His folksy humor and honest, intelligent observations about the government and America earned the respect of the nation. Will's life was cut short at the age of 55 in 1935. He planned a vacation with aviator Wiley Post, flying to Alaska with some stops along the way. Will had already flown all over the world as a reporter, visiting London, Manchuria, Java, Egypt, South America, Japan, Moscow and destinations all over America. The ill-fated flight to Alaska, however, took the life of America's most beloved celebrity. Tragically, on August 15, 1935, Will and Wiley's flight crashed near Point Barrow, Alaska, taking both of their lives. Will's untimely death shocked and saddened the nation. Initially, Will was buried in Los Angeles. 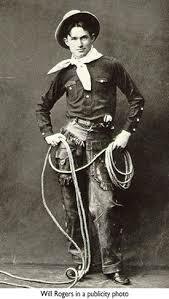 However, his wife Betty built the Will Rogers Memorial in Claremore, Oklahoma, which was dedicated in 1938 by President Franklin Roosevelt. In 1944, Will's body and the body of his son Fred, who died at the age of two, were moved to rest there. Betty died that same year, and rests beside her husband and son. Love Is Buzzing in the Good Old Summertime! 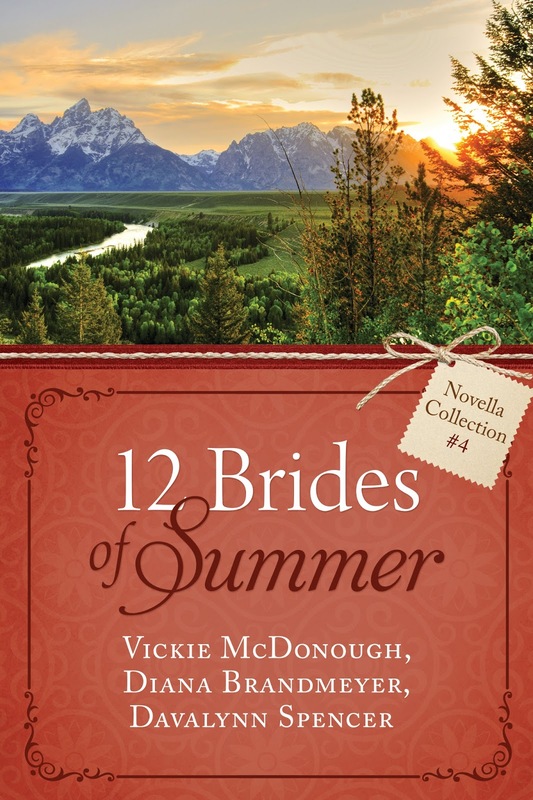 Spend the sunny days of summer relaxing with an ice cold glass of lemonade and revel in the dreams of twelve brides who are a bit surprised by how the men of their dreams come into their lives. Journey to the Old West, stay on the prairie, and visit quaint small towns. . .without leaving the comfort of your own front porch! Vickie, I never knew much about Will Rogers but have enjoyed hearing his quotes. Thanks for the bio. He was so interesting! Is he the guy who said he never met a man he didn't like? Yes, Will Rogers said that. He was an interesting man. 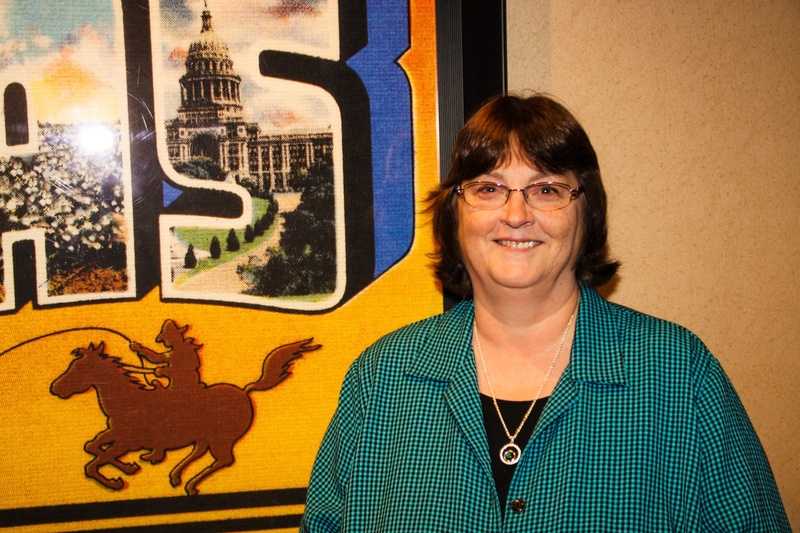 Good overview of Will Rogers' life, Vickie! I never knew anything about his family. I'm glad he stayed married to the same woman, unlike so many famous people. Me too, Donna. He was of the era when married people tended to stay married. I loved learning more about Will Rogers! 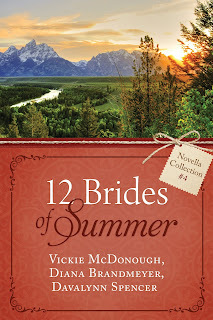 Thank you for sharing this great post, Vickie! You're welcome, Britney. As a native Oklahoman, I grew up hearing about Will Rogers, but I still learned some news things as I researched this article.